Some time I crave the smell of an intense Indian tadka, the swiftness of a quick-to-make meal and some protein. Paneer is one such protein which you can find in any Indian refrigerator. It can be cooked dry or in a luscious semi-dry gravy or even in a light and creamy one. 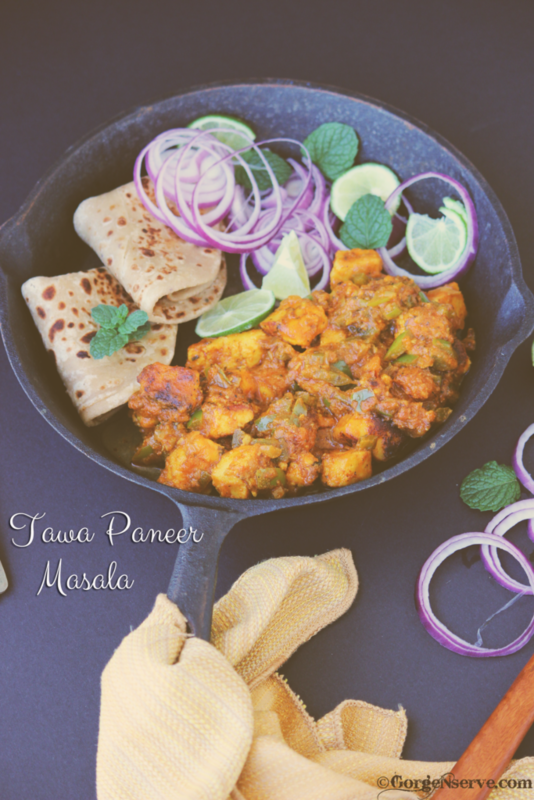 I decided to make Tawa Paneer tonight , reason being it’s simple yet super delicious and IT’S DIFFERENT too 🙂 It goes well with chappati or parathas or even bread . This is a super-quick recipe and I am sure that you will love it . In a bowl, add yogurt, salt, red chili powder, turmeric powder, tandoor masala, chat masala, fenugreek leaves and tomato paste. Stir well with a spatula. Add paneer cubes and coat well. Cover and let it marinate for 1 hour. In a pan heat oil, add in cumin seeds and let it crackle, followed by the carom seeds. Add the chopped green chillies and onion and saute till onions are translucent. Now add ginger and garlic paste and saute for another 3-4 min . Add the tomato puree and mix well , cook for 3-4 min . Add in the bell pepper and let it cook for 2-3 min. Season with garam masala and cook for few minutes and set aside. 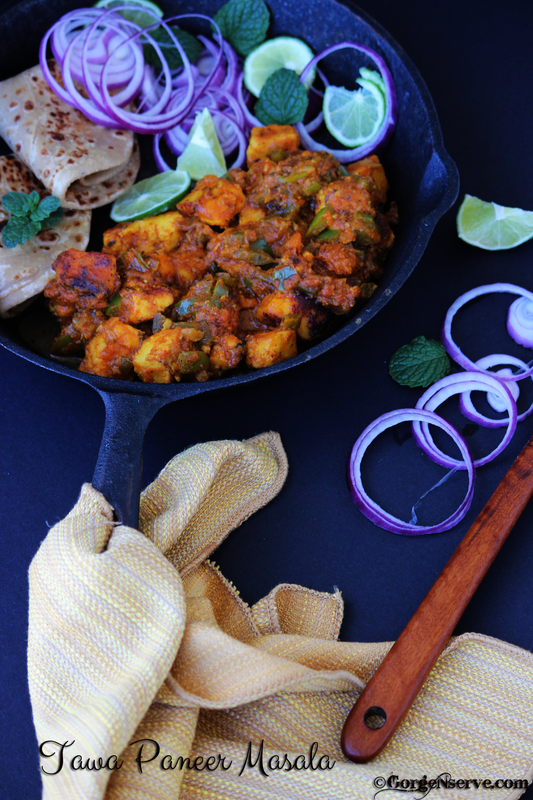 Mean while in a flat pan, heat the oil and ghee on medium heat, turn the heat to medium and place the paneer. Cook until golden brown from all sides. Add paneer back to the gravy and turn on the stove. Stir well and add the cream. Garnish with coriander leaves and turn off the stove. 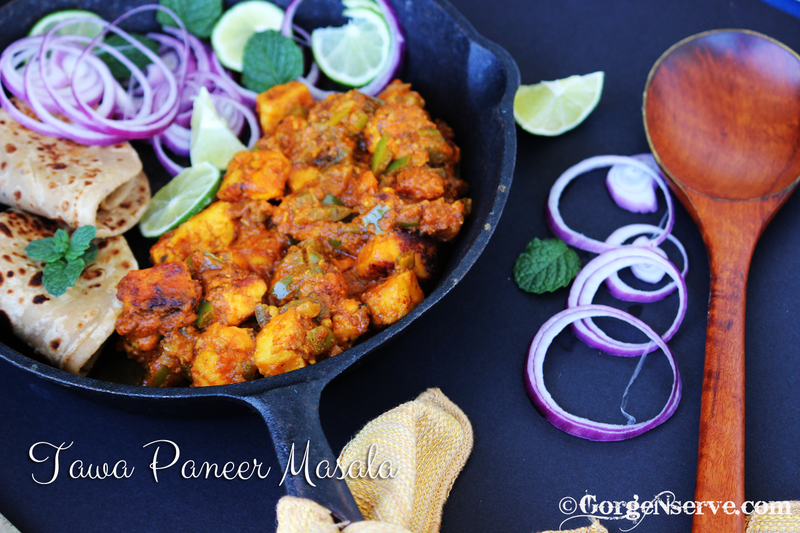 If you plan on making tawa paneer tonight or tomorrow night and would like the paneer cubes to have more flavor, you can also marinate it and leave it for overnight, though an hour or two would do just fine. You could use a tablespoon of yogurt, some ginger garlic paste and pepper. Or you could experiment with sriracha sauce, tamarind sauce, soya sauce or even a little balsamic vinegar. You could also try some dry or fresh herbs like mint, coriander, basil, rosemary and more. 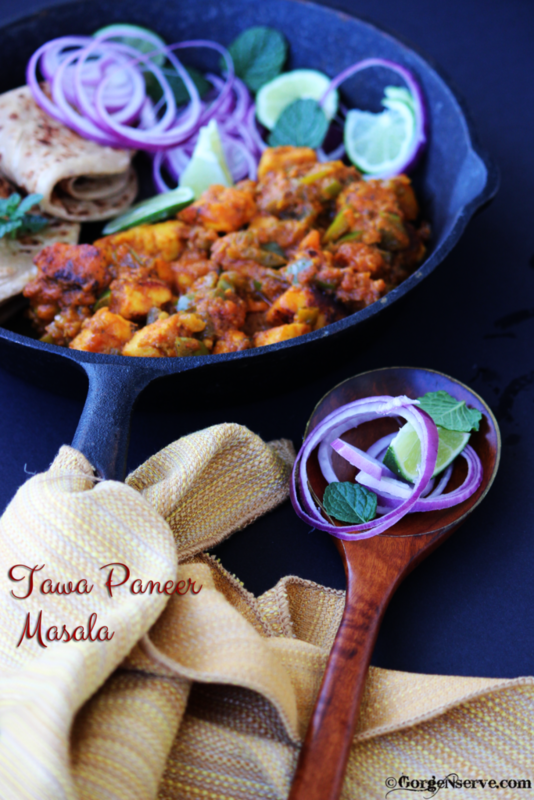 The left over Tawa paneer masala make an amazing filling for grilled sandwiches & veggie wraps 🙂 Try it out , you will love it more . See you next time with yet another delicious and scrumptious recipe . 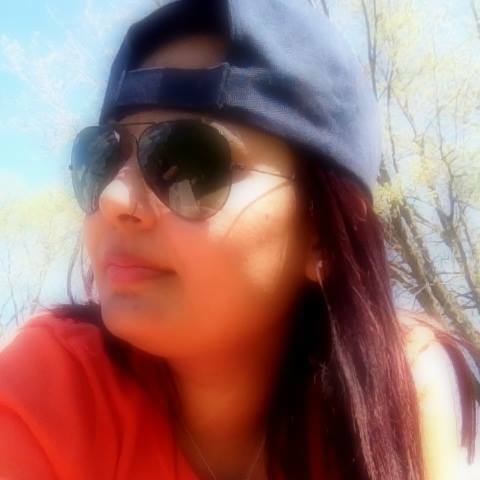 Till then Au revoir.